The Department of Economics is part of the School of Business Administration (SBA) at Universidad Politécnica de Cartagena, Spain (UPCT). The SBA together with six Engineering Schools (Agronomy, Industrial Engineering, Naval Engineering, Telecommunications, Public Works Engineering, and Architecture) forms the main academic body of UPCT. The SBA offers several Masters Courses as well as a research based inter-university Ph. D. program in Economics. Ángel López-Nicolás, BSc, PhD, conducts research in health economics and has published in the leading journals in the field (Journal of Health Economics, Health Economics, European Journal of Health Economics, Social Science and Medicine, etc.). One of his areas of specialization is Economics of Tobacco, with publications in Tobacco Control, Nicotine and Tobacco Research, European Journal of Cancer Prevention, Revista Española de Salud Pública etc. He has been the leading researcher in several tobacco economics research projects funded by competitive calls and has acted as Associate Editor of the journal “Nicotine and Tobacco Research”. Marta Trapero-Bertran, MSc, PhD, is lecturer and senior researcher at the International University of Catalonia (UIC), Barcelona, Spain. Its main lines of research are the modelling techniques in economic evaluation in the context of health economics, economic evaluation of health technologies and programs of public health in industrialised and non-industrialised, transmission behaviour and lifestyles, and incorporation of external effects in the economic evaluation. One of her areas of specialisation is Economics of Tobacco. She has been leading in Spain the Project of EQUIPT which is a comparative effectiveness research (CER) project in tobacco control, funded by the European Commission’s Seventh Framework Programme (FP7). She has several papers published in National and International academic journals with high Impact Factor and also some books. She was president of the Association of Health Economics (AES) and founding member of the European Health Economics Association (EuHEA). She did her PhD on “Incorporating effects in economic evaluation: the case of smoking” at the Health Economics Research Group (HERG) at Brunel University with a grant from the Medical Research Council and later won an undefined position in this university making models for economic evaluation. She holds a degree in Economics. Daniel Celdrán Guerrero is a researcher at Universidad Politécnica de Cartagena. Daniel Celdrán Guerrero is an engineer, and PhD student in Economics (health economy research line). 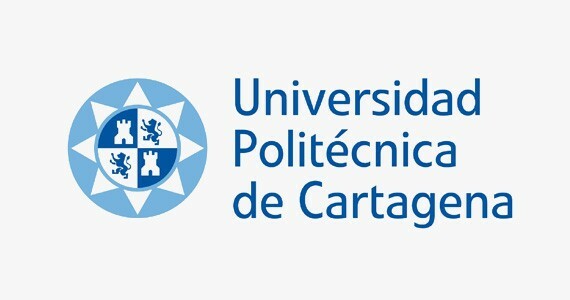 Nowadays he works as researcher on TACKSHS european project in Universidad Politécnica de Cartagena. His work focuses on the Economic evaluation of tobacco cost in public health system.